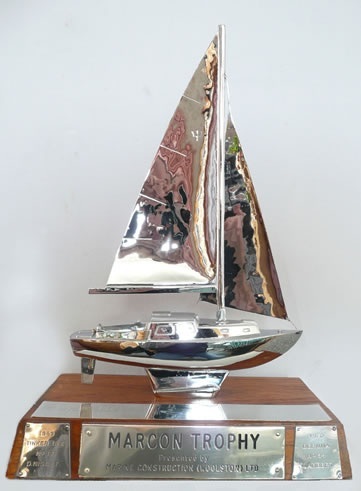 The Marcon Trophy is an elegant silver representation of a Trident under sail awarded each year to the member who submits the best cruising log. The winning log does not have to be for a long or adventurous cruise. 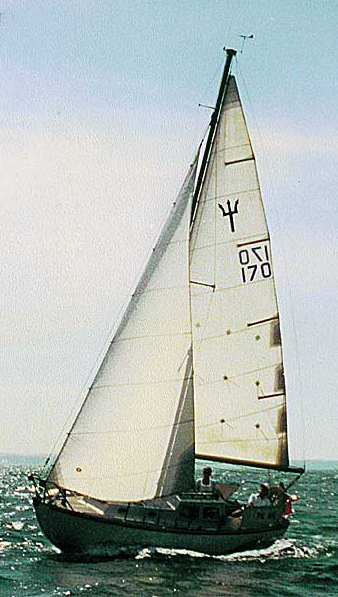 The trophy is awarded to the entry that is, in the opinion of the judges, the most interesting or readable.Over the years the trophy has been won by entries that range from little more than day-sails to epic cruises round the North of Scotland or to the Mediterranean.The Marcon Trophy was presented to the TOA in 1969 by Marine Construction (Marcon), the company that originally produced the Trident, as a mark of the importance to that company of its first cruising boat and its wish to support the TOA and cruising in Tridents.